Many of the same features of the CP 1230 and CP 1240 were rolled into the CP 1260 and CP 1290, respectively. Chicago Pneumatic Construction Equipment offers the CP1260 and CP 1290 handheld pneumatic breakers. The breakers offer the same quality and versatility as previous pneumatic breaker models, but with updated features, more power, and a sleek, ergonomic look, according to the manufacturer. Known globally for their high-impact technology and durability, many of the same features of the CP 1230 and CP 1240 were rolled into the CP 1260 and CP 1290, respectively. Offering a variety of sizes, there is a CP pneumatic breaker option for every application. The list of added features include; ergonomically designed handles to reduce operator fatigue, a streamlined, flatter profile for improved operator visibility, and new durable polyurethane front head springs that reduce wear and extend the life of the breaker and its internal components. In addition to various innovative features, the CP 1260 and CP 1290 offer even more power than previous models. Another key feature of the CP 1260 and CP 1290 breakers is that many of the components are compatible with previous generations of pneumatic breakers, so that if a problem should arise with the new equipment, repairs can be made quickly and easily. More than 2 ft. (.6 m) long, and 63 lbs. 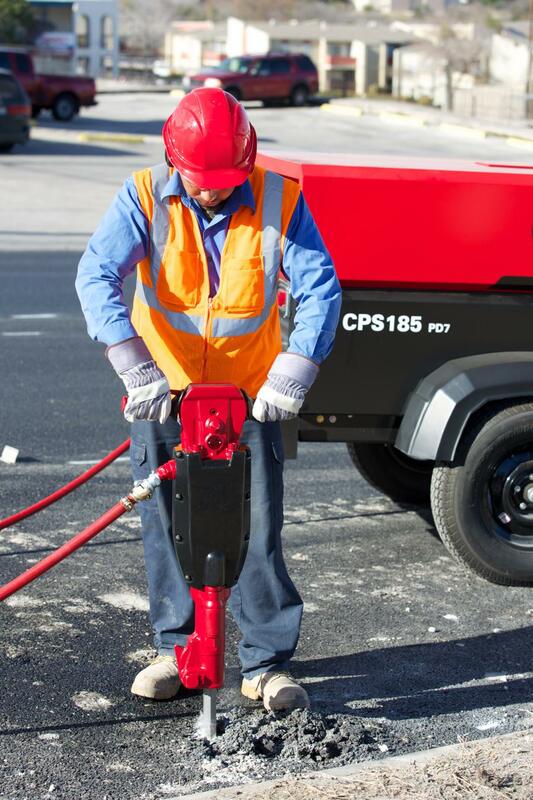 (28.5 kg) of operating weight, the CP 1260 is compact enough to transport to any job site easily. Delivering 1,300 powerful blows per minute (bpm), it is also powerful enough to handle a number of medium to heavy-duty applications. The CP 1290 weighs in at 81 lbs. (36.7 kg) and has a length of 28 in. (71 cm), making this a powerful tool for its compact size. The CP 1290 delivers 1,100 bpm. The most powerful of the CP handheld line, the 1290 is ideal for heavy-duty demolition work. For more information visit www.cp.com.